In the Middle School, students take even greater responsibility for their education. They collaborate closely with teachers to set personal goals and expectations. Our individualized instruction continues, with a focus on helping students build self-awareness and advocate more articulately for themselves. While the specific books they read, math problems they solve, and historical events they study will vary based on the individual student, all Gaynor Middle School students build the fundamental skills needed to succeed in their next school. 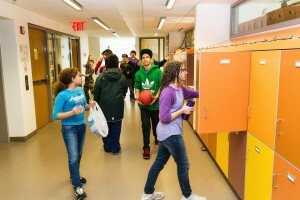 Unique to the Middle School, Gaynor offers electives in which students participate in clubs, project-based learning, student advocacy, and transition preparation classes. This coursework offers students dynamic, experiential learning opportunities that capitalize on personal interest and choice. Gaynor has a comprehensive Placement program and a dedicated Placement Office to best support the Gaynor community as students move forward in their academic careers. During the Placement process, we work together with parents to identify appropriate school options, establish and maintain expectations, and create a support system that will follow the family and student through each step. 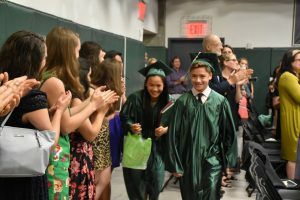 It is our goal to have each individual student placed in the school that is the best fit for him/her upon graduation or early transition from Gaynor. Click here for more information on the Stephen Gaynor Middle School core curriculum.